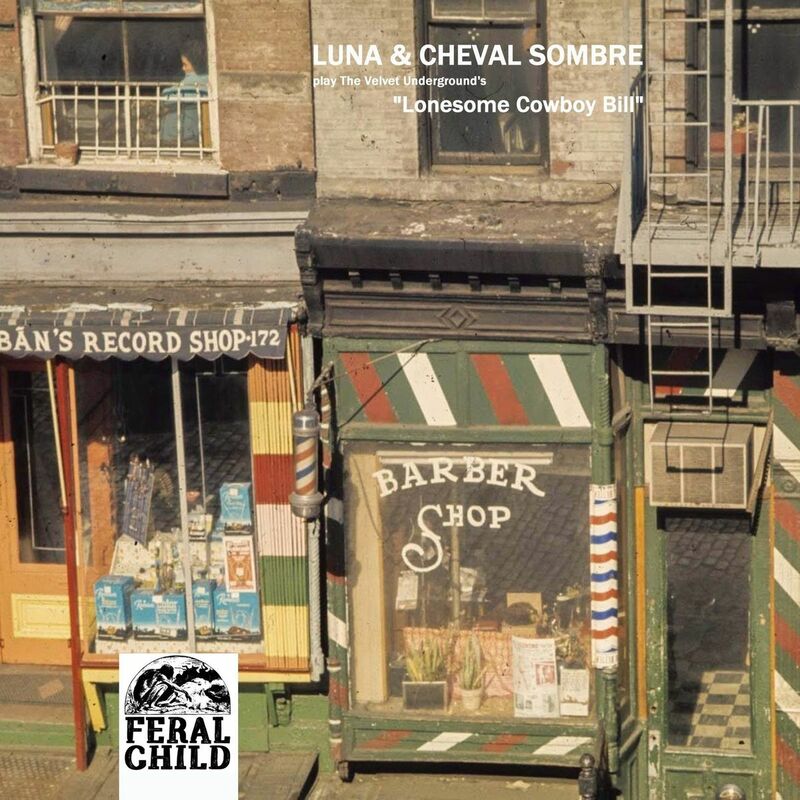 Never one’s to shy away from cover versions of their favorite or inspiring songs, Luna along with Cheval Sombre get together in a manner of speaking to record back to back versions of the highly underrated, though very sweet, Velvet Underground song “Lonesome Cowboy Bill” (from the Loaded era). With Luna recently releasing their album A Sentimental Education, entirely composed of cover incantations, it should be no surprise that Feral Child Records would release this vinyl only 45 rpm single where Luna’s version meets The Velvet Underground’s take nearly head on, though adding their own flavor, and lacing the song with an unexpected fuzzed out guitar coda, along with a chugging topper that sits like icing on a cake. On the flip side we find Cheval Sombre delivering something entirely different, something more conceptual, showing a more personal impression of the song with an acid rock folkish rendition framed with violins and more laid back effects, turning the song into something as unexpected as he did with The Doors track “Hyacinth House” on his first and self titled effort back in 2009, where with his presentation, comes a slow smile of recognition as one realizes exactly what he’s playing. 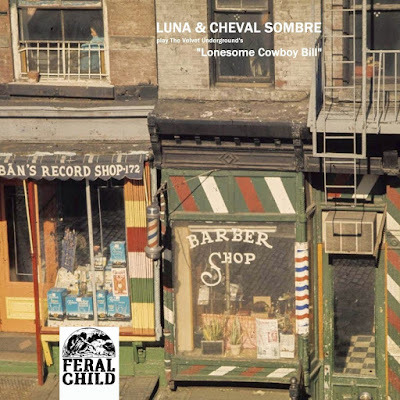 The Luna version was recorded and mixed by Jason Quever of The Papercuts, while Cheval Sombre’s take was mixed by Darshhan Jerani, and includes Gillian Rivers on strings and on percussions Bruce LaSusa.